Look at the rear “diffuser.” I suspect it is there more for aesthetics. It balances the front piece, plus it hides the de Dion rear suspension. Look at the seam between that glorious body and the clunky (up close) addon. Handmade is great, but Guinness at lunch doesn’t happen with robots. AM raided 8 different parts bins for the switches and buttons and lights. Outsourcing is one way to streamline your assembly and manage costs. However, it;s not so much graceful contrast as it is “Frankenswitches.” Wouldn’t it have been nice if the switches bore some correlation between size or coolness and function. Fist sized power lock buttons? A toggle switch (cool for the oil slick or the rocket arming) to elect winter or summer demist? 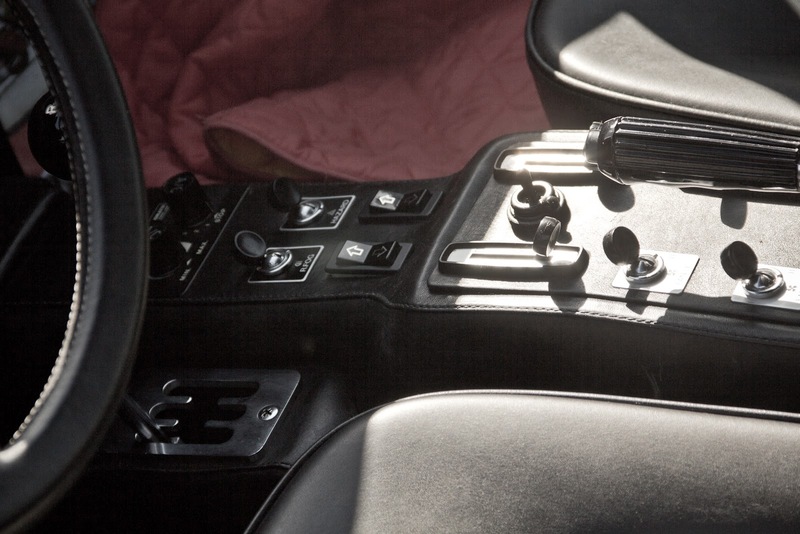 See 1970s Ferrari designs for how to do gratuitous switches elegantly. The other thing. Giant swaths of Yugo grade brittle textured black plastic. My Fury had the same design conceit but was mass produced for the proles. This Aston is for the most inner of the inner party. Nobody brings Budweiser to the Concours. You don’t cut the studio 54 coke with Drano; that’s for the street. I just now noticed that the gauge cluster is shaped like the grille. Exceedingly well played, sirs but no reason to double up on the cheap and flimsy. At least cover it in ermine or something. In sum, io love love love this car. I just want to savor it, and not know (or be constantly reminded) of how it was made.